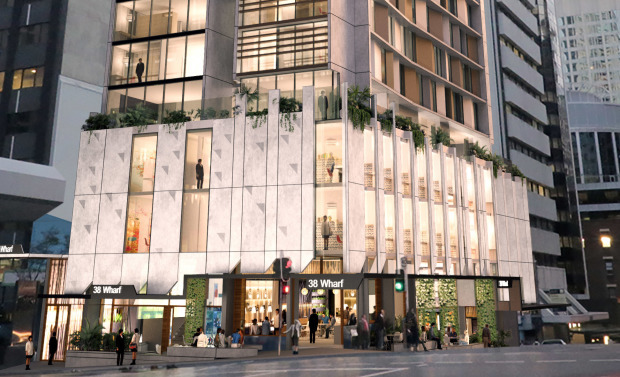 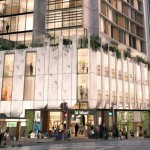 The purpose-built student accommodation tower, located in the heart of Brisbane’s CBD, is poised to be one of the largest in the city with approx. 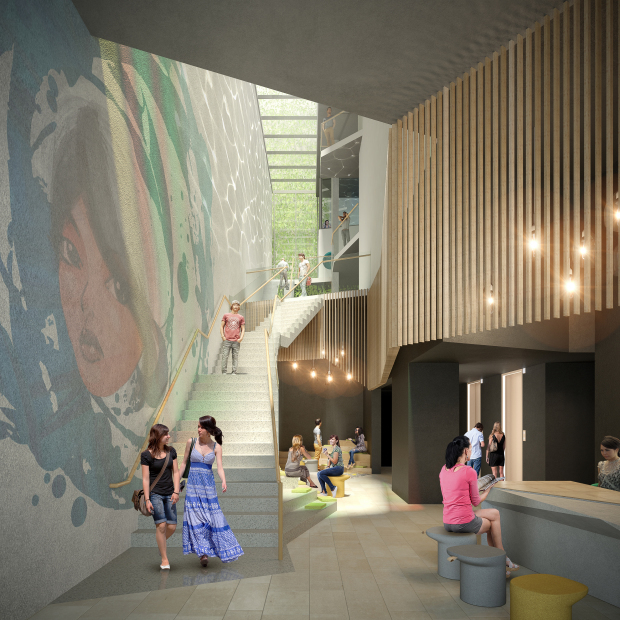 750 rooms. 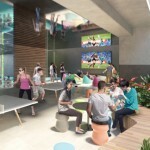 The proposed development at 38 Wharf Street, provides for a combination of private studios and multi-share apartments and is supported by a series of high quality breakout spaces such as communal kitchens, resort-style pool and entertainment spaces, learning rooms and rooftop recreational areas. 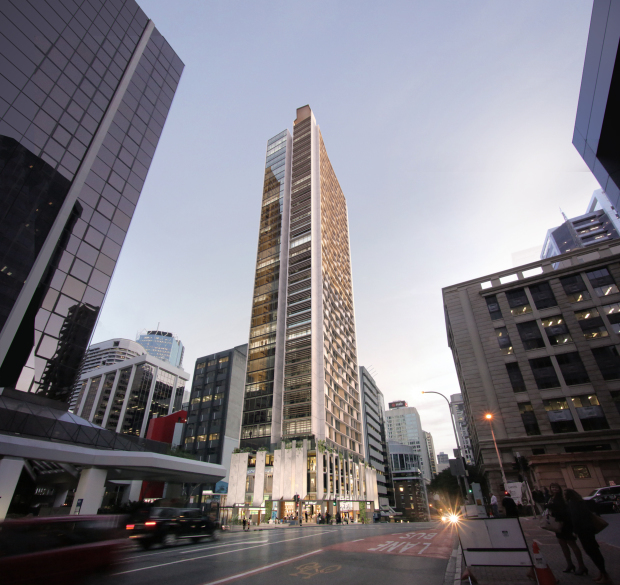 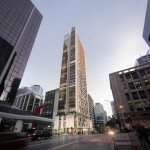 Designed by local architectural firm Arkhefield, the striking tower comprises 37 storeys of accommodation and ground floor retail/commercial spaces. 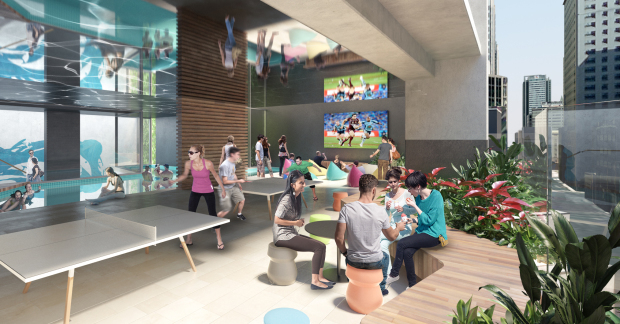 The building will also include outdoor terraces with barbecue and pool facilities, recreational media rooms, games rooms, multi-function rooms, study spaces, meeting rooms and laundry facilities.